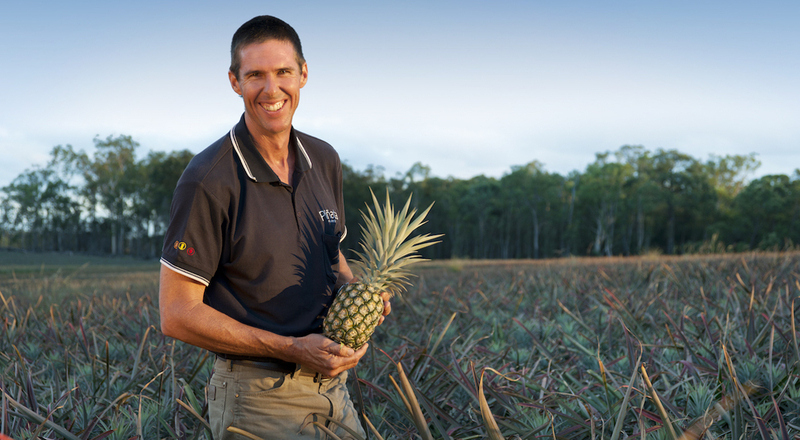 Stephen has led pineapple production in Queensland’s north since Piñata Farms became the first to grow pineapples there. Stephen oversees Piñata pineapple production on 150 hectares in the Paddy’s Green district, near Mareeba, one hour’s drive from the regional centre of Cairns, Far North Queensland. After working as farm manager on the family pineapple farm alongside brother Gavin, Stephen helped identify Mareeba’s sandy loam soil and warm climate as ideal for pineapple production. Until 2012, Piñata Farms was the only pineapple producer in the Mareeba district. During his time at Mareeba, Stephen has implemented growing practices to suit the region’s wet season and nine-month dry season. These include developing contoured banks to prevent erosion and planting on high, sloping blocks to aid run-off. Stephen’s part in pioneering and developing pineapple production in the region was recognised in 2013 when he was awarded the inaugural Charlie Nastasi Horticulturalist of the Year by the Mareeba-Dimbulah Fruit and Vegetable Association.